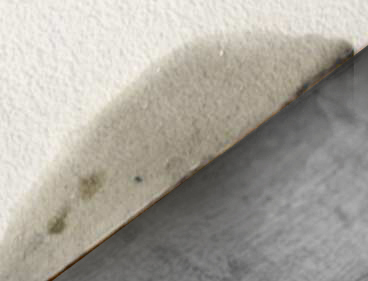 WaterGuard is a patented extrusion developed to hold drywall up off the floor preventing it from wicking moisture through the slab and eliminating water damage caused by rising damp and moisture routinely introduced thru building maintenance such as mopping, waxing, and shampooing of floors. 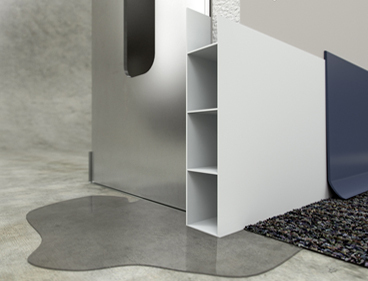 Better than the traditional ½” gap--with Waterguard, you are assured of consistent quality control and eliminate the frustration and time consuming inconvenience of going back to trim and clean the gaps. 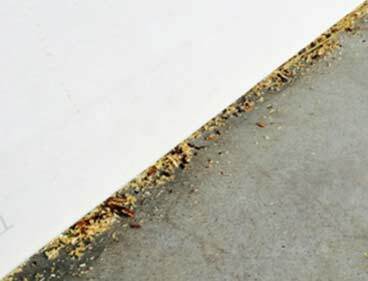 WaterGuard not only protects against moisture damage but also fills the gap simplifying construction clean up and providing a solid backing for the finished base. Now available in two additional heights; WaterGuard Plus is a 1 3/4” tall extrusion designed to provide all of the benefits of the original Waterguard plus additional protection against minor flooding caused by natural disaster or internal plumbing issues and WaterGuard XT is a 3 1/2” tall extrusion designed to provide maximum protection against more significant flooding and natural disaster.